BERLIN: German Interior Minister Thomas de Maiziere defended in parliament on Thursday Berlin’s plans to restrict family reunions for refugees living in the country, with the highly charged issue a source of tension in talks to form a new coalition government. 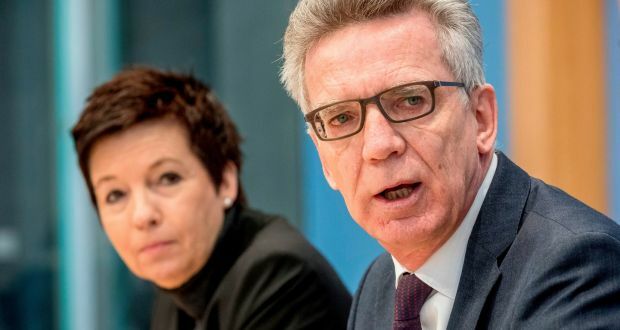 “Our compromise stands for humanity and responsibility, for integration and limitation, but for generosity and realism,” de Maiziere told lawmakers. The Bundestag is considering a government proposal to extend the suspension of family reunions for large groups of refugees, which is due to expire next month. However, under a plan reached between the centre-left Social Democrats and Chancellor Angela Merkel’s Christian Democrats (CDU) and their Bavarian-based Christian Social Union (CSU) allies, the number of refugee family members entering the nation would be limited to 1,000 each month from August 1. “Some idealists think the regulation is too strict,” de Maiziere told parliament. “Yes, that’s a compromise,” said de Maiziere, who is a member of Merkel’s CDU. He also conceded that the CDU-CSU and the SPD would have set different priorities in dealing with the question of family reunions.